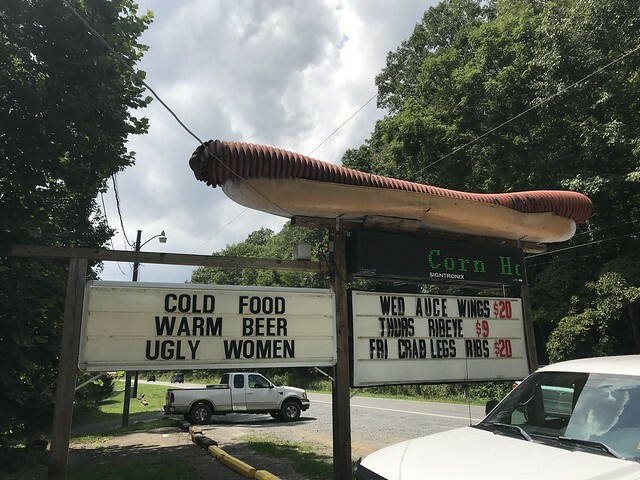 The restaurant with the giant corrugated hot dog sign has been on my wish list ever since I saw the first photo of it. 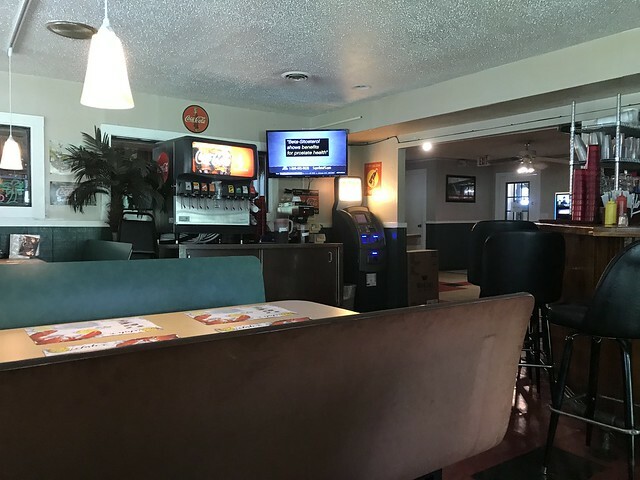 This spot pokes a bit of fun at itself, which I like. 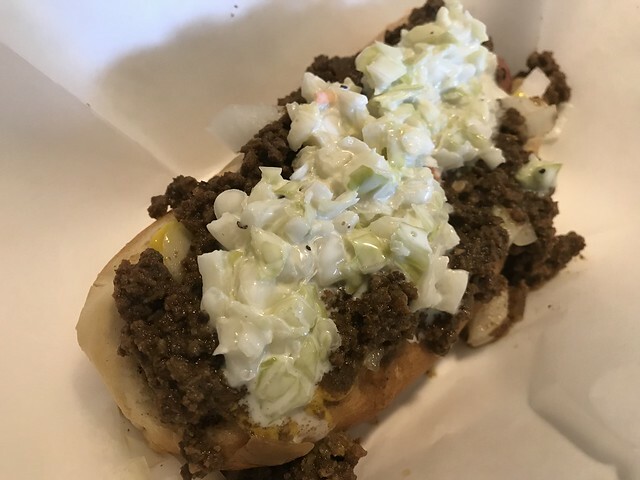 I ordered a single dog with chili, slaw, mustard and onions. 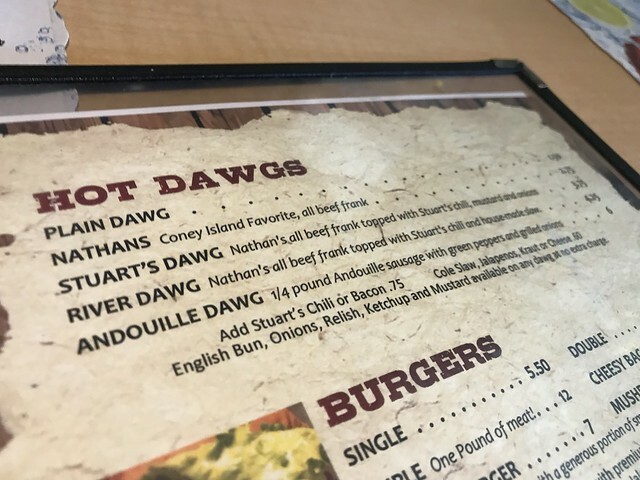 That's like a mix of Stuart's Dawg and River Dawg. The bathroom is ... interesting. 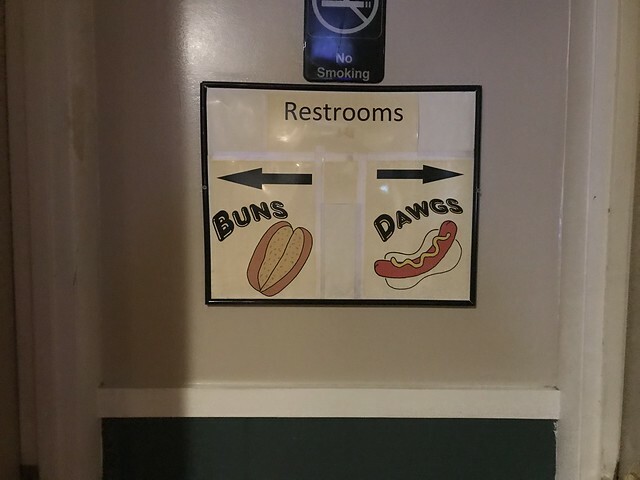 Have you had a hot dog from here? Chili is different from any others I've had.